Sigma International was founded fourteen years ago in 2004. The company's journey began when Akash Singh and Christopher J. Naidoo met at university. Their membership of AIESEC, which is the world's largest student-run organisation, provoked a desire to have a positive impact on society. Founded in 1948 and present in over 100 countries and territories and with over 60 000 members, AIESEC provides an international platform for young people to discover and develop their potential as leaders. The organisation offers young people the opportunity to be global citizens, to be change agents and to get experience and skills that matter. Singh says that the learning and experience at AIESEC have helped mould himself and Naidoo. Singh's professional career and extensive experience has placed him at the forefront of local and global economic development for businesses. Singh's successes saw him being selected as a Standard Bank Entrepreneur of the Year. Driven by the desire to do more for people and gives freely of his time, Singh has spent 11 years as a member of the Board of the Durban Chamber of Commerce and Industry (DCCI). From April 2013 to May 2015 he served as President of the Durban Chamber of Commerce and Industry, which he says was a highlight of his Chamber experience. He has also served as a council member of the South African Chambers of Commerce (SACCI) and was the past President at the KwaZulu-Natal Business Chambers Council. Additionally, Singh was the cochair for business at the KwaZulu-Natal Economic Council. Singh is also a City Planning Commissioner for eThekwini Municipality. He has been appointed a Council member representing business for the South African Institute of Chartered Accountants (SAICA) Eastern Region. In reference to his time spent at the various chambers, Singh said that this was his way of giving back to communities and "having fun in the business world", whilst building a formidable business network. He added that Business Chambers are capitalised by the time entrepreneurs spend in service activities including joining forums or providing skills and knowledge free of charge. 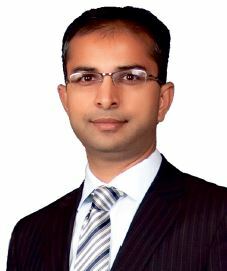 Singh currently runs the South African Sigma International operation, which is unique in that it focuses on empowering and strengthening people and organisations. The level one Broad-Based Black Economic Empowered (B-BBEE) company provides a range of robust services that include business turnarounds, enterprise development and strategic planning. Singh is a responsible and caring leader who has extensive experience in innovation, business strategy, mentoring, coupled with strong commercial skills, particularly with regard to business turnarounds and capital restructuring. He has trained or mentored in excess of 5 000 small, medium and large businesses on various practical subjects. He cites the ability to convince others to join the responsible leadership journey as a challenge. He truly strives to be different in his approach to managing people. He said, "Sigma International takes its core values very seriously and they are used daily to help guide the decisions and direction of the firm. These core values include teamwork, accountability, entrepreneurial, innovation and continuous improvement, performance, integrity and respect. "Through our various successes we have written the script to be able to assist business in KwaZulu-Natal (and South Africa). We have a sustainable model and like to look at the impact of our interventions, which must be relevant. Any change implemented must be exciting and not stressful." He added, "The future of the Sigma International is also built on business incubation and innovation, which allows new opportunities to be explored and actualised." Our organisation is largely focused on turning around, improving and focusing businesses (and organisations) for sustainable growth. Hence it makes us a very relevant company in exciting times. More and more of our clients and stakeholders are looking beyond the profit line. Sigma International is capitalised with a wide range of specialist's skills to help companies and organisations to look beyond profit." "In the future we would like to grow our private equity investment portfolio and continue to stay locally relevant and globally competitive," concluded Singh. In his free time Singh enjoys relaxing by gardening and fishing - for the one that he thinks is big!